Wide range of leisure, adventurous and relaxing activities for you to enjoy. With our dynamic and flexible cruising/diving operation, we give you the opportunity to escape aboard a floating resort where our attentive crew will cater to your every whim, and the on-board chef will serve you delicious meals along a memorable journey. A choice of activities are available for you depending on your chosen itinerary, this could be a quiet day of leisure cruising or may include scuba diving, bottom fishing, snorkeling, sea kayaking, or simply swimming. 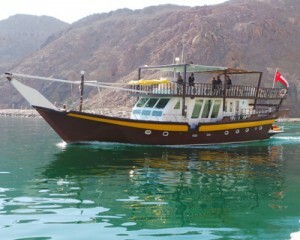 Luxury Dhows, 72ft - 81ft long, up to 35 passengers, relax,swim,snorkel and enjoy the extraordinary beauty of the area. Luxury Dhow, up to 18 Passengers, 1 to 6 nights, visit more remote dive sites. Deep,channel, wall and night dives. huge variety of marine life. Al Marsa Musandam has been created by two men with a passion for diving and a desire to preserve the unspoilet beauty of the eastern Musandam. Our mission is to awaken a sense of adventure and awareness by giving you the chance to discover this unique destination. We are a dynamic and flexible cruising/diving operation and on board our luxury,purpose-built Dhows we offer an extensive range of options. Day Cruises give you time to relax,swim,snorkel and enjoy the extraordinary beauty of the area. Liveaboard Cruises – from 1 to 6 nights – allow you time to visit the more remote dive sites and to completely absorb the astonishing splendor of this peninsula. Our onboard chefs prepare freshly cooked meals from the finest ingredients – substantial breakfasts,leisurely lunches, ending the day with scrumptious evening meals. 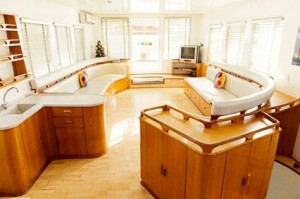 The accommodation we provide is of the highest standard and we do everything possible to assure you comfort. All the swimmers and snorkelers joining us on board will have the chance to see a vast array of fish as just beneath the surface the vibrant coral reef is teeming with life. Or you can hike into the mountains for breathtaking scenery and a chance to explore remote settlements and ancient villages only accessible by sea. For birdwatchers the Musandam Peninsula is at the edge of the western Palaearctic, where you can see birds from three continents. Full length sun deck, lower decks with bar. Air Conditioned saloon this home theater system. Galleys inside and outside with BBQ. 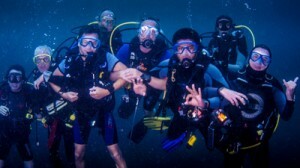 Fully equipped onboard diving room with compressor. Full range of electronic navigational aid. Fresh water and water desalination.